AdWords is an advertising service by Google for businesses wanting to display ads on Google and its advertising network. AdWords is one of the most efficient ways to advertise your product or service. Apart from being scalable it is also immediately effective. AdWords is quite cost effective and scalable. Once you select a AdWords Package you define monthly Advertising Budget. Google AdWords is the most profitable and popular form of online advertising. It’s also complex, ever-changing and time consuming. 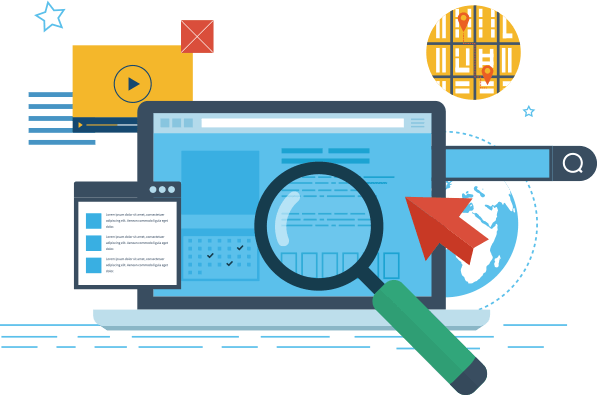 We’ve assembled an in-house team of industry experts who have the AdWords management skills and expertise to manage complex PPC campaigns. If you want to reach your target market at the right time, you need to be advertising on Google with Google Adwords. Google AdWords is currently the largest pay per click marketing network on the internet. How does pay per click marketing work? Well, in short, a client pays the search engine, such as Google, every time their ad is clicked. It sounds costly but in fact you control the budgets and can set limits to control monthly expenditure. Advertisers with various budgets can utilise a service such as Google AdWords; an advertiser wishing to test the results of pay per click marketing can do so with a small initial budget and retain full visibility of how that money was spent. Budgets can be scaled at any time depending on the calculated return on investment and this affords advertisers flexibility in their online marketing.